Total Wine recently brought in SanTan Brewing beers as their (I'm pretty sure) third big brewery direct shipment for the Florida market. 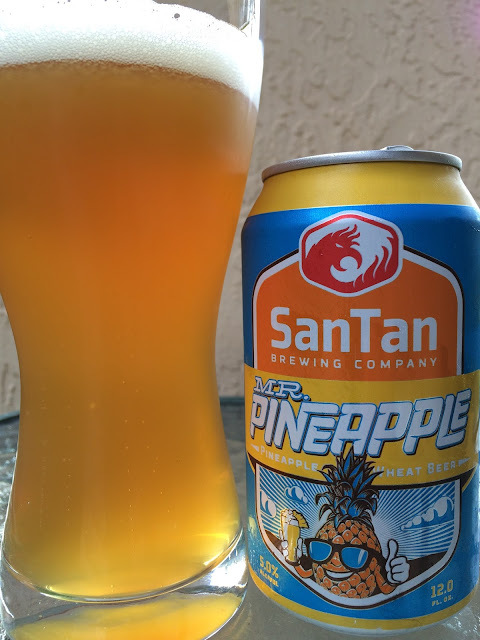 SanTan out of Chandler, Arizona crafts "Southwestern Style Ales," and I picked up three of the five cans I saw on the shelf today for a review. I started with Mr. Pineapple, a pineapple wheat beer. The can artwork could use a serious upgrade. There is a thumbnail of a pineapple with shades giving a thumbs up and toasting his glass of beer. Very dated and like one of those retro T-shirts you see hipsters wearing, maybe Orange Crush. 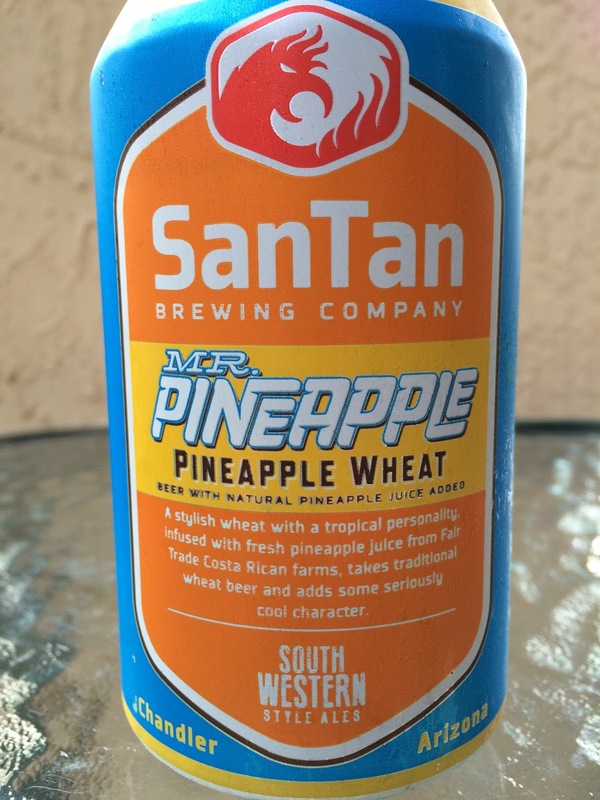 The story on the back calls this a "stylish wheat with a tropical personality." 5.0% alcohol. Light pineapple aroma at best, more like nothing. Faint wheat flavor and texture, light spice. The weakest of pineapple or orange show, but I seriously can't really taste anything. Super bland, to the point of being neutral in every aspect. My wife said it tastes like bad pineapple, and while I don't find anything not to like, there is just nothing here. Pass, unless you are dying of thirst and need water (or you need a palate cleanser for another beer.) And seriously, hold a community college contest to design a better label!